Hello everyone! 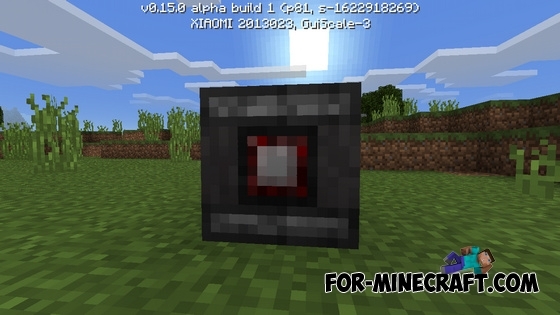 As you all know, the developers have added a new block in MCPE 0.15.0 - observer. Many players do not understand, what is its purpose and how to use it. This block is similar to the mechanism or lever. This block monitors the movement of blocks near. If it detects any movement, it immediately sends a short redstone signal to the other side. Of course you can see in this video how to work the observer block. Lever Locator map for Minecraft PE 0.14/0.15.0Puzzle map for MCPE 0.14/0.15.0 where you will find 10 levels. At each level you need to find the lever to go to the next level.